This sensational vine crystal and pearl necklace could be mistaken for a precious heirloom. Inspired by precious vintage necklaces from the 1950s, this silver tone 'piece' is timeless and simply beautiful. Featuring a Y design of clusters of sparkling Austrian crystal encrusted leaves enhanced with light ivory faux pearls, it captures the detail, beauty and romance of jewellery from bygone years. With an adjustable extender chain, this versatile necklace can be worn on the collar bone with higher necklines or lower with plunging V-necks. 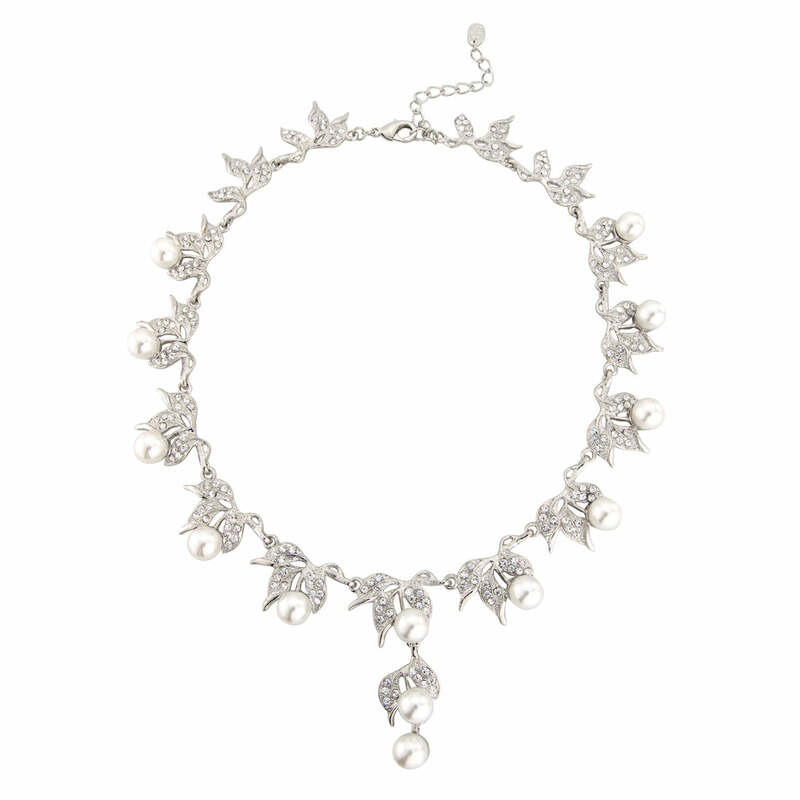 A sensational wedding necklace for brides, wear with Vine of Pearl Earrings and Bracelet to have guests wondering if your wedding jewellery is a genuine 'parure' from past eras. For added vintage style, coordinate with a simple headband or hair comb.